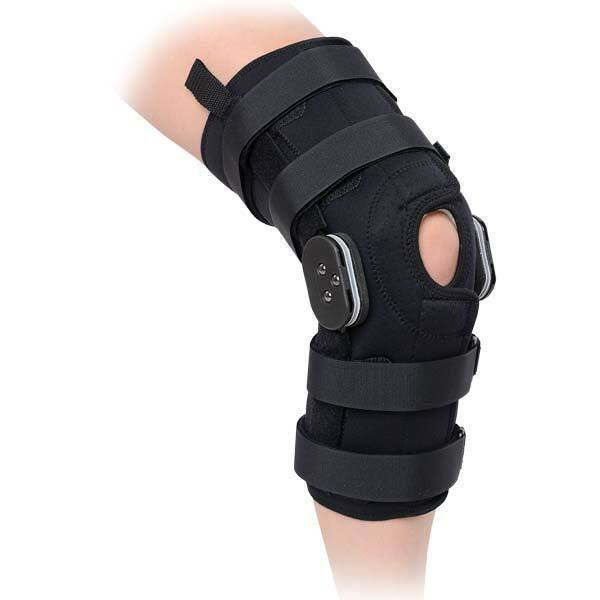 Mild injuries of the meniscus mild instability, patellar retinaculum injuries, post op knee rehabilitation, mild sprains of the medial or lateral collateral ligaments. The wrap around design allows for exact fit and comfort. Provides mild to moderate medial and lateral support; in addition to the support offered by the strapping. Polycentric hinge provides extension. Stops of 0°, 10°, 20°, 40°, 60° and 90°.